It's hard to believe, but the world premiere of Kill the Critic! is just one week away. We've sold a few tickets--not as many as I would have liked--but enough to guarantee a reasonable crowd. And I know that most of my friends are waiting to buy at the door. But, if you want to demonstrate a true pioneering spirit and buy your tickets now, just click here. Riding to the rescue was our lead, Uriah Werner, who happens to be a part-time wedding photographer. He owns a top-of-the-line Canon, and he was both kind enough--and unwise enough--to trust me with it. As a theatre critic, I often have to sift through promotional photos, and I'm constantly surprised at how unprofessional they can be--even from the swankiest, most professional theatre companies. The worst of them fall into one of two categories. Either they're artificially posed or they're just plain dull, giving no sense of what the play is about. To get around both of these problems, I had the actors perform scenes from the play. Then I just aimed the camera and clicked. A lot. I ended up with a lot of junk. But I also ended up with some real gems, like the one above. There's no mistaking this play for something from Chekhov or Ibsen. Now I just hope the photos help sell some tickets. Just got word that my 10-minute play You're Driving Me Crazy will get a reading next month as a part of Core Artist Ensemble's Summer Shorts in NYC. 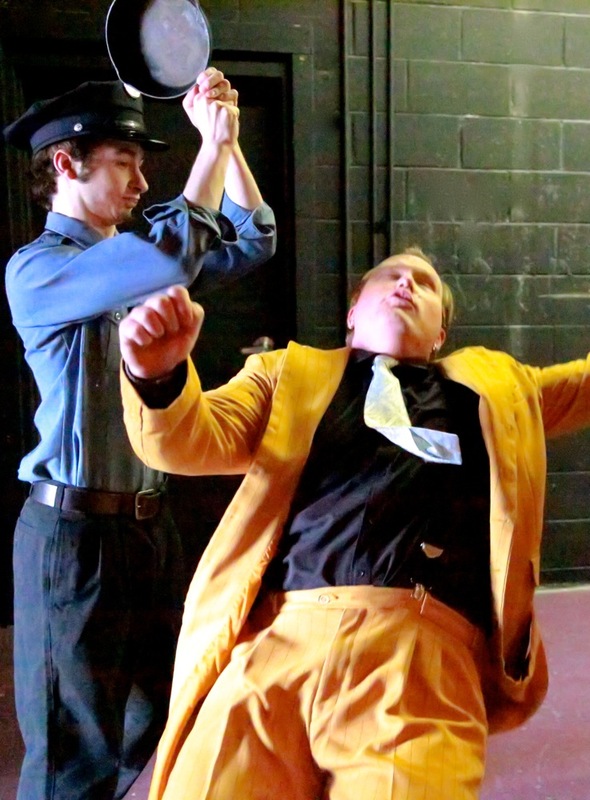 This two-person comedy about a driving instructor from hell has been popular with kids--it's been done at a theatre camp in Illinois and a high school in New York state--but this is the first time it'll be done by adults. I originally conceived it as one of a quartet of shorts about hellish driving lessons. I've got two and a half of them done, and this success makes me think I should go back and finish them as soon as I wrap up the full-length farce I'm working on. Which at the rate I'm going, should be some time in 2033. 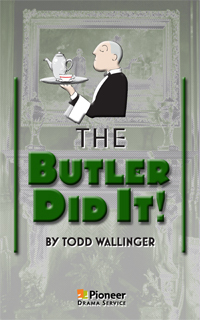 Free sample of The Butler Did It! A sample of my newest play The Butler Did It! is now available. To read it online or to download it, click here. If after reading it you'd like to order a copy, click here. After the frazzling experience at my staged reading of The Butler Did It! last September, I promised myself I would never direct again. Too many decisions, too many headaches. Well, it only took me 9 months to go back on that promise. 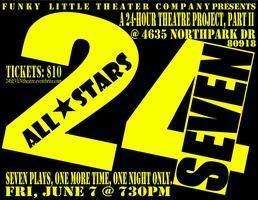 I just got an offer to direct a short play for Funky Little Theatre Company's 24SEVEN: All-Stars. It's an evening of the best plays from their first three 24-hour theatre events. Am I crazy? Well, no. As far as directing gigs go, this one is as close to wading into a baby pool as you can get. The play--Kentucky Chickens by Oregon playwright Cricket Daniel--was produced before on the same stage and with mostly the same cast. It's only 10 minutes long. And we have just 3 hours of rehearsal before the play goes up. But it is a big step out of my comfort zone and I hope to learn a lot from it. The very fact that it's written by someone else will get me out of my own head for a few hours and into someone else's. I'm also looking forward to working with real live actors. 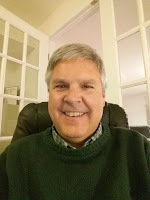 You miss that human connection when you're holed up in your office day after day. 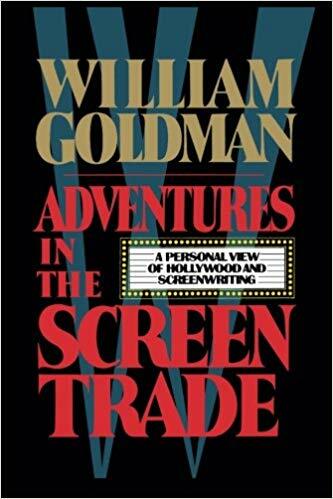 And most importantly, it should help me become a better playwright, if only because it's a new theatrical experience for me. So if you're in Colorado Springs this Friday, check out 24SEVEN: All-Stars at CIVA, 4635 Northpark Drive, at 7:30pm. I guarantee you'll have an awesome time.